This is probably the most important thing you need to know when running your Avon business. There are several different ways to get paid by Avon. You can choose to get paid by face-to-face selling, online through your eStore, or by Leadership and earn based on what you and your team sell. How do I get paid by selling to customers face-to-face? First, you want to collect the orders. Click here to see how to write customer orders and figure up the total cost of the order. Third, you need to pay Avon what the total for your order is. Avon charges you a discount on your total order and you keep the rest as profit. Example: You have a $200 order. Avon charges you $140. You charge customers full price for all orders. Pay Avon the $140 and keep the $60 that is left! 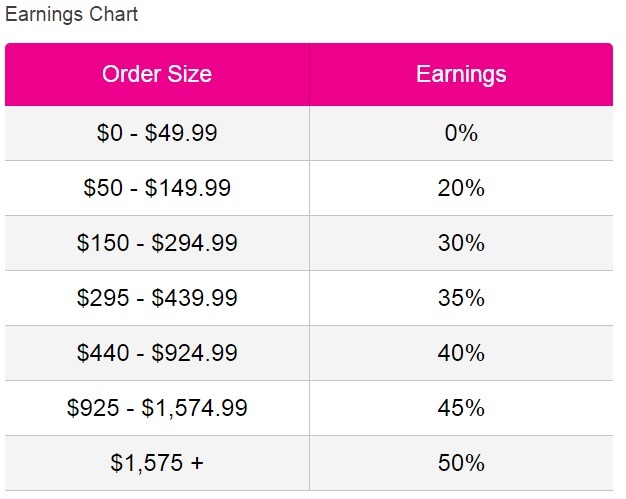 Below is an earnings chart which shows you how much you can make based on your sales. Keep in mind that fixed earnings items like clothes, shoes, jewelry, AVON LIVING, kids accessories, and any home items make a base amount of 20%. How do I get paid through online orders on my eStore? When someone orders on your website you make a base earnings of 20% (or 25% if you are in President’s Club or higher). You have 2 ways you can receive the earnings from online sales. 1) Choose to have earnings direct deposited into your bank account. Earnings of at least $25 get direct deposited into your bank account. Anything less will be deducted from your AVON ACCOUNT. This means that what you pay Avon when you have face-to-face sales gets reduced. You have a $200 order from face to face sales. You also have a $50 order from online sales. You earn $10 from the $50 order online. The $10 gets deducted from the $140 which equals $130. You pay Avon the $130 and pocket $70 extra dollars! 2) Choose to have all online earnings deducted from your Avon balance. How do I get paid through Leadership? 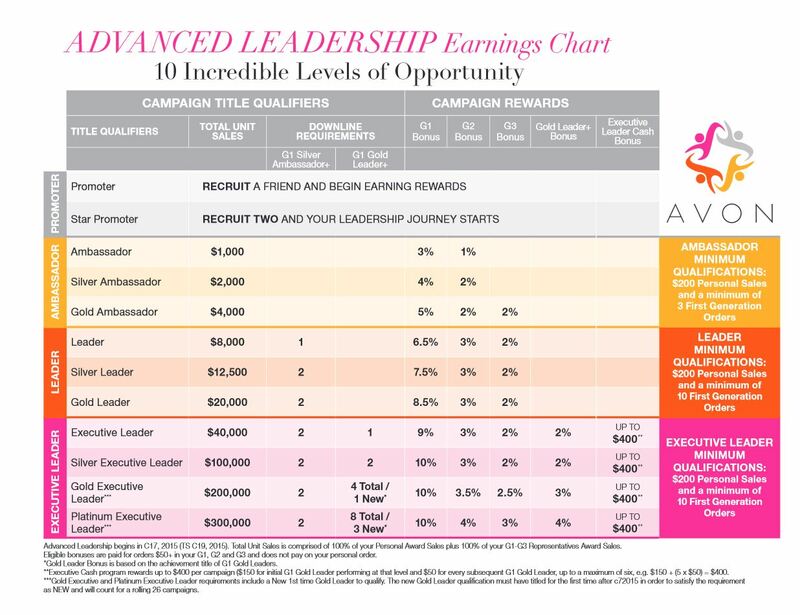 Avon Leadership is a way other Avon representatives can recruit new people to join Avon and become representatives themselves under a team leader. The more your team sells and the more orders you have from your team members, the more your earnings grow in leadership. Keep in mind leadership IS NOT for everyone but IT IS very rewarding if you have a special skill for helping others succeed.